Our small family farm is my dream come true! 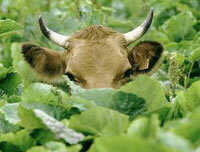 We keep chickens, horses, pigs, sheep, lowline angus cows and our beloved Jersey cows. Besides raw milk shares, I also have free range chicken eggs available and fresh farm raised beef and pork. Harvest Acres is a small family farm on the eastern plains of Colorado. 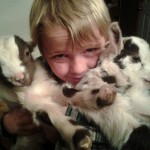 We produce a limited quantity of farm fresh eggs, heritage meats and raw milk through our goat herd share program. Please visit our website for additional information. Thank you for your interest in our herdshare program. The price per share is $10, each share being a one-time purchase. This amount will be refunded to you should you decide to stop your share. There is a $5 one-time jar fee per share. 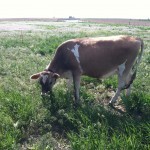 A monthly boarding fee of $25 per share provides for feeding, milking and care for your portion of the herd. Each share will entitle the shareholder to approximately 1/2 gallon of milk per week to be picked up at Hearthstone Homestead (near the corner of Shoup and Volmer) in Black Forest. Thank you for taking the time to look us up, we thrive off our wonderful Fort Collins Community. We are located just outside of beautiful Fort Collins, Colorado, in buckskin heights, right on the other side of horsetooth rock! We felt like this was such a wonderful place to raise happy and healthy goats. We have wonderful milk goats as well as meat goats. We started raising alpines, then fainting goats, switched to the awesome dairy goats- lamanchas and Nigerian dwarf goats, and are now adding Nubians to our bunch! We now have cheese, so we felt the Nubians had a stronger milk to carry through the cheeses! We are so excited for the new year. Buying 35 acres to have happy animals, adding cheese and meat to our program as well as chicken eggs! Life is treating us very well here in Colorado and we hope to share it with others! * cheese- 19 cheeses this summer! Then you do not need to look any further! WE CURRENTLY ARE OFFERING 2015 HERD SHARES, PLEASE INQUIRE IF INTERESTED!